Hoeg Law is an experienced business contract law firm in Southeast Michigan. The firm is focused on handling legal needs of small businesses and startup companies. These legal needs almost always involve contracts. In fact, if your company does ANYTHING, whatever it does will likely be memorialized in a written contract. Therefore, it’s a good idea to have an attorney draft or review a contract. Fortunately, at Hoeg Law, we know contracts. If you need help drafting or reviewing a legal document for your business, schedule a free consultation with an experienced Michigan contract lawyer today. 734-263-1001. Every company, whether it’s researching biochemical processes or starting a new craft brewery, will deal with and use contracts every day of its existence. For example, this use of contracts may involve, non-disclosure agreements, employment agreements, equipment leases, intellectual property licenses, software contracts, purchase order terms, website terms and conditions, etc. All in all, contracts play a role in any business. At Hoeg Law, we’ve written, reviewed and helped negotiate nearly every type of business contract for companies varying in size. 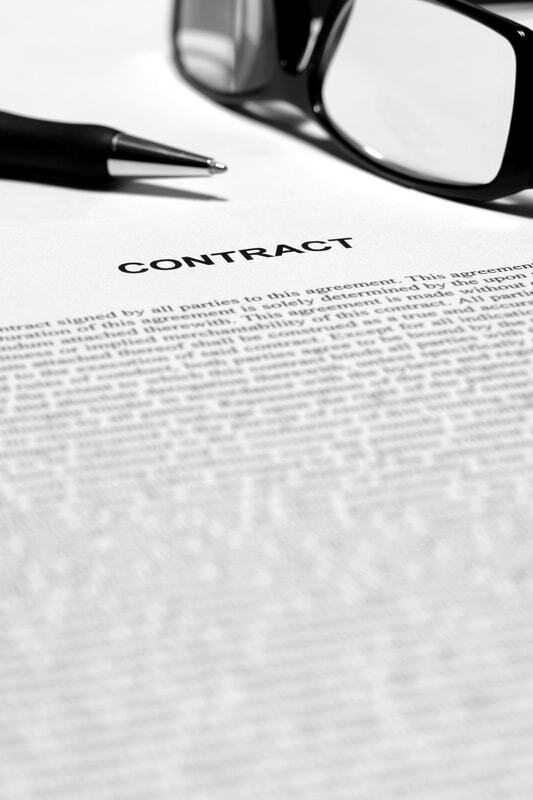 As a result, we possess vast knowledge and experience about many types of business contracts. This knowledge of contracts may involve, for example, deciphering that two-page indemnification provision in your supplier’s latest “form”, to crafting something specific to the products and services you provide. Contracts are our bread and butter and also the lifeblood of your business. Thus, If you can’t figure out whether you want to sell or license, whether you should sign or refuse that non-disclosure agreement, or just how to describe the equity incentives you want to provide your employees, we can help! The non-disclosure agreement or “NDA,” is a legal document binding two parties to an agreement. This agreement typically involves “trade secrets” of a company, or other confidential information. If you’re involving a third party (such as a contractor) in matters related to your business, it’s advised to have a contract attorney draft/review an NDA to protect the interests of your business. In short, an IPL allows a party to retain ownership of intellectual property while allowing another party to use this property under specific terms. At Hoeg Law, we’ve represented researchers, professors, and others in a University or research/development environment. This includes counseling and negotiation of terms for licenses they need from the University or other IP owners. Additionally, we’ve assisted companies in ensuring intellectual property they’re purchasing is flowing through correctly to the company. Supply agreement contracts state the terms & conditions by which companies supply and manufacture materials. SaaS agreements are documents which dictate terms between a software supplier and customer by which the software may be used/accessed. Whether you’re the one supplying or purchasing the software, it’s advised to have a contract attorney draft/review the terms. Employee Offer Letters generally include details such as salary/pay, job requirements, benefits, etc. We help business owners in drafting/reviewing these contracts. An equipment lease contract sets terms between the owner of the equipment and individuals leasing the materials. This generally includes details such as: period of time, terms of payment, etc. At Hoeg Law, we’ve represented a number of software developers or clients who outsource software to be made for them. We assist our clients in drafting and negotiating terms of the licensing agreement contracts. Manufacturing is often a highly expensive process. This can be especially expensive when the process involves heavy machinery. A well-drafted manufacturing agreement sets the terms by which the product is produced, the cost of production etc. In short, this contract can greatly reduce costs for a company. As the name suggests, consulting agreement contracts are between a consulting service provider and another party to which the services are provided. The document establishes legal protection for certain interests of a company such as proprietary information and more. Purchase Order Agreements are documents issued to a seller of a product and/or service. These documents are issued by the buyer and include details such as quantity, price, type of product/service, etc. The Hoeg Law Firm’s main office is located in Northville, MI. Our firm works with clients throughout the State of Michigan. If a client is unable to meet in person, they have the option of working with an attorney remotely; this includes clients outside the State. Therefore, if you need help with contracts, or anything related to business law, regardless of your location, Hoeg Law can help. With more than a decade of experience working at large business law firms, Hoeg Law provides clients with high levels of expertise at a fraction of the cost that large firms offer. 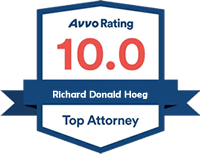 Therefore, while working with Richard and The Hoeg Law Firm, you can expect large firm caliber work with a personalized, small firm approach. If you wish to speak with a contract law attorney directly, contact us at 734-263-1001.